The Fed’s formal decision to freeze rates follows Powell’s prior earlier January 2019 announcement that the Fed was suspending its 2018 plan to raise rates three to four more times in 2019. That came in the wake of intense Trump and business pressure in December for the Fed to stop raising rates. The administration had begun to panic. Treasury Secretary, Steve Mnuchin, hurriedly called a dozen, still unknown influential big capitalists and bankers to his office in Washington the week before the Christmas holiday. With stock markets plunging 30% in just six weeks, junk bond markets freezing up, oil futures prices plummeting 40%, etc., it was beginning to look like 2008 all over again. 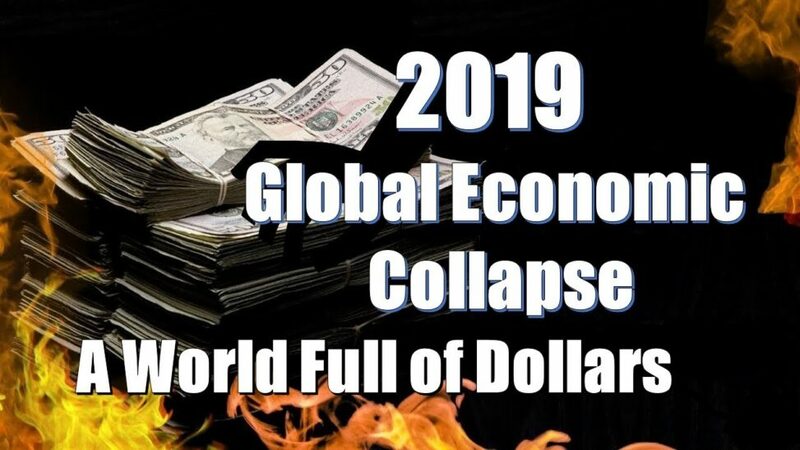 Public mouthpieces for bankers and big business were calling for Trump to fire Fed chair Powell and Trump on December 24 issued his strongest threat and warning to Powell to stop raising rates or financial markets would likely implode. In early January, in response to the growing crescendo of criticism, Powell announced the central bank would adopt a ‘wait and see’ attitude whether or not to raise rates further. The Fed’s prior announced plan to raise rates 3 to 4 more times in 2019 was thus swept from the table. So much for all the academic economist gibberish about central banks being independent! Or the Fed’s long held claim that it doesn’t change policy in response to developments in financial markets! This week’s March 20 Fed announcement makes its unmistakenly official: no more rate hikes this year! And given the slowing US and global economies, and upcoming election cycle next year, there’s essentially no rate hikes on the horizon in 2020 as well. For those who believe the business press and government alternative ‘spin’ that the US economy is doing great, and recession is not just around the corner, consider that US retail sales have fallen sharply in recent months. In December they declined by -1.6%, the biggest since September 2009. Residential and commercial construction has been contracting throughout 2018. In January, manufacturing, led by autos, dropped by -0.9%. The manufacturing PMI indicator hit a 21-month low. Despite Trump’s early 2018 multi-trillion dollar business-investor tax cuts, investment in plant and equipment growth by year end slowed by two thirds over the course of 2018. Recent surveys show CEO business confidence has declined the last four quarters in a row—i.e. a bad omen for future business spending on equipment and inventories. Despite Trump’s ‘trade wars’, the US trade deficit finished the year at a record $800 billion in the red. Service sector revenues rose a paltry 1.2% in the fourth quarter 2018. And word is out that the US GDP for fourth quarter 2018 will soon be revised downward. Initially posted at 3.1%, in February it was reduced to 2.6%. Next week, in April, it will be reduced still further, to 1.8% or less, according to JP Morgan researchers. Meanwhile various bank research and other independent sources are predicting a 1st quarter 2019 US GDP of only 1.1%, and possibly even less than 1%. Trump’s economy is in trouble. And now he’s on an offensive to get the central bank not only to halt rate hikes, but to start lowering interest rates before the end of this year. And if Powell doesn’t comply, watch for the Trump and right wing to push for firing Fed chair, Powell, as well. So what are the likely policy responses the next recession? On the monetary side, watch for what is called ‘bail ins’. The banks and investors will be bailed out next time by forcing depositors to convert their cash savings in the banks to worthless bank stock. That’s already being planned and has been piloted in Europe. On the fiscal-tax side, watch for a renewed intensive attack on social security, medicare, education, food stamps, housing support and all the rest of social programs that don’t directly boost corporate profits. And of course Trump & Co. will continue to propose still more tax cuts, which has already begun. As monetary and fiscal policy become increasingly ineffective as means to address recessions and/or restore economic growth, they are becoming instead tools for subsidizing capital incomes–during, before, and after economic crises!